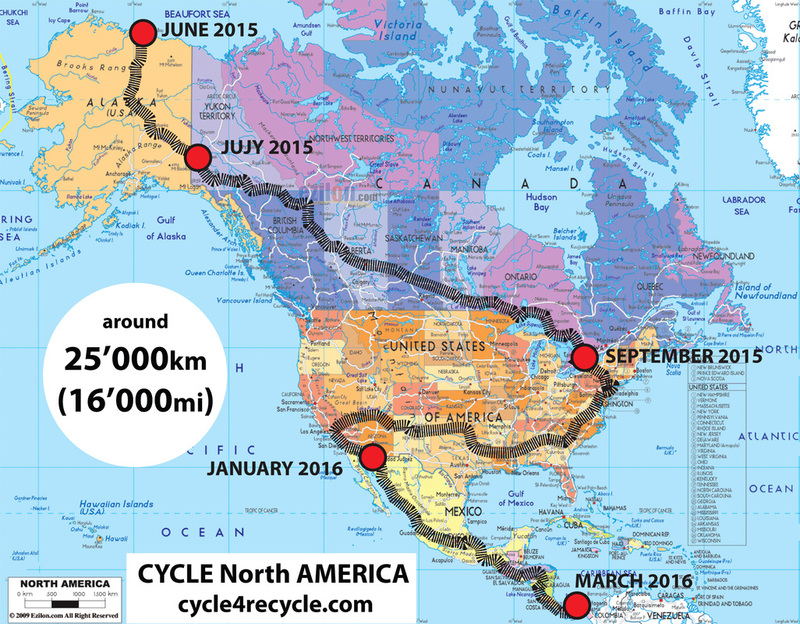 Cycle for Recycle - Cycle Americas. 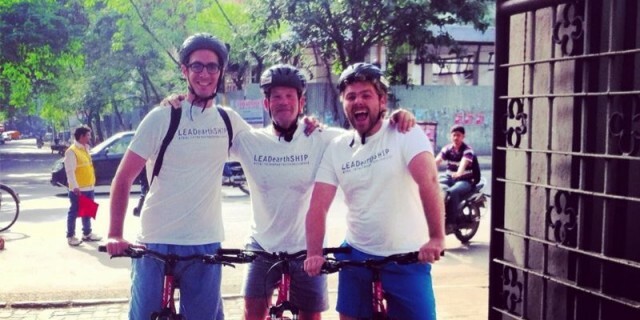 Cycle for Recycle expedition. 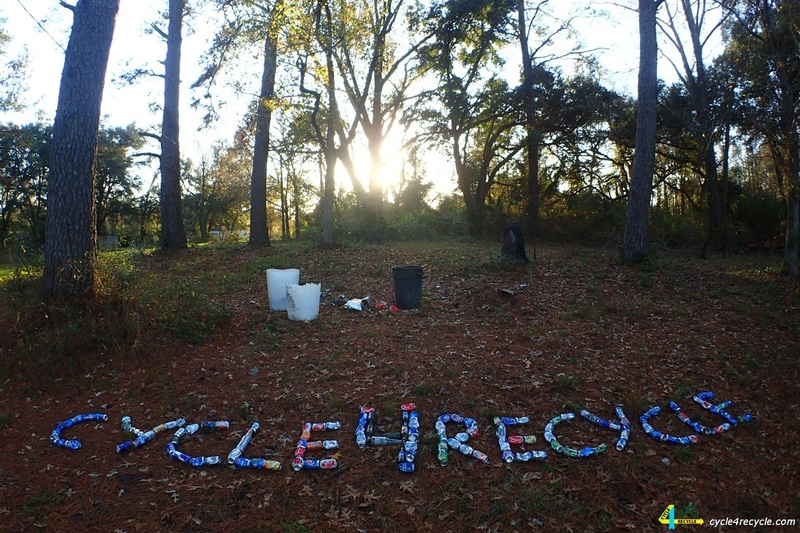 Cycle 4 Recycle is a global initiative which aims to improve life on the planet. We all want to live in a more positive and caring society, but in order to achieve that every single person must believe that they are important and their work matters. Never mind if you are just a single person or a small community, everybody with ideas put into action is more than welcome to register and share their activity. For example, you can be the one teaching everybody in your neighborhood to sort their waste, or you can be the one who cleans the wild parts of the park, or you can just change your car with a bicycle. We know that everybody is full of ideas for better tomorrow and we want to see every single one applied. Let’s stop waiting for big organisations to put things in order, it is time to start taking action. 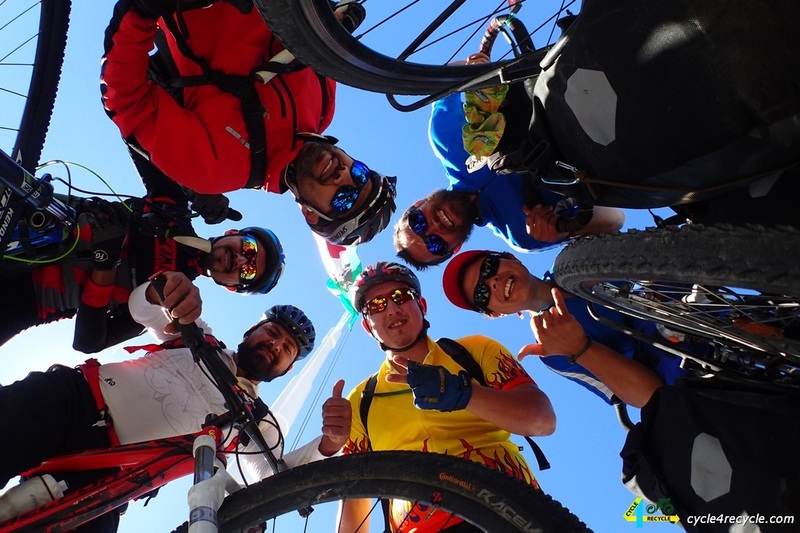 Cycle 4 recycle’s mission is to unite and inspire people from all over the globe to work for cleaner environment, healthier lifestyle and more positive society. Encouraging people to take better care of themselves and the environment, with which they are going to give a positive personal example for others to follow. We want the common people, with ideas for better society, to feel support and to know that they are not alone. We are interested in people who are already realizing their ideas and people who are thinking of making their first steps. To create networks of people, sharing the same location and inspire them to unite forces in taking care of the problems in their district. 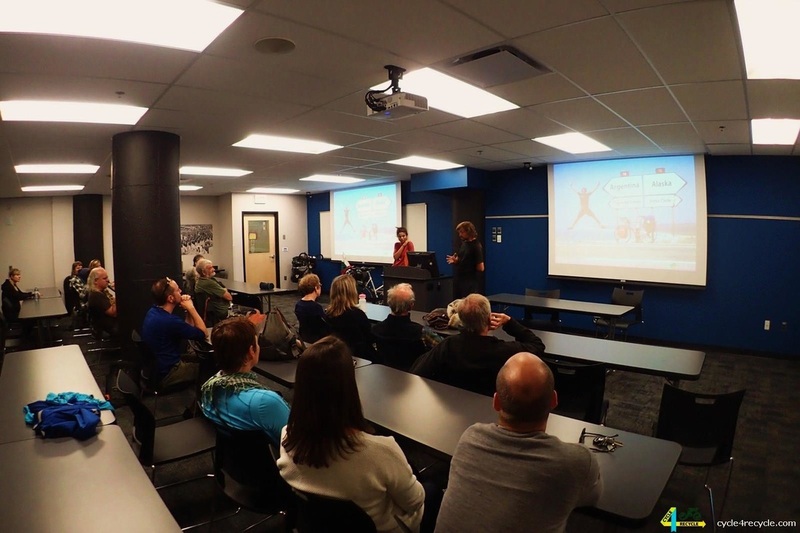 We have interest in how the ideas of our participants are growing and developing. Provoking people to start taking action in regards to the unfairness towards Nature. We are recognizing the self – awareness of individuals as an important and integral part of the change of the social status quo. We wish everyone to demand a better future for the upcoming generations. 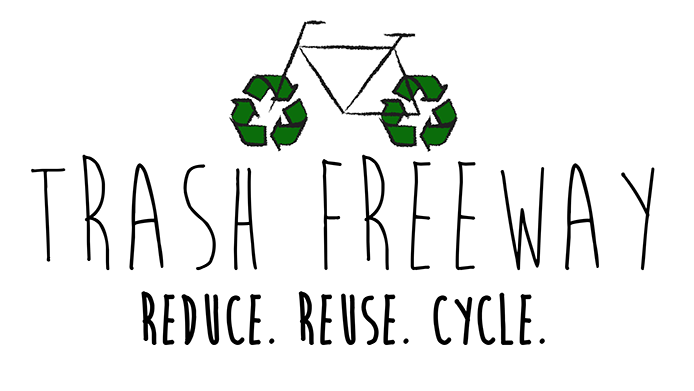 ABOUT IDEA "CYCLE FOR RECYCLE"
Cycle 4 Recycle es una iniciativa global que tiene como objetivo mejorar la vida en el planeta. Todos queremos vivir en una sociedad más positiva y solidaria, por lo tanto, cada persona tiene que saber que lo que haga y su trabajo es importante. No importa si usted es una sola persona o una pequeña comunidad, todo el mundo que aporte ideas son bienvenidas e invitadas a registrarse y compartir su actividad. Por ejemplo, usted puede mostrar a todo el mundo en su vecindario cómo clasificar sus residuos, o puede ser el que limpia las partes salvajes del parque, o simplemente puede cambiar su coche por una bicicleta. Sabemos que todo el mundo está lleno de ideas para mejorar el mañana y queremos ver a todos y cada uno haciéndolo. Vamos a dejar de esperar a que las grandes organizaciones pongan las cosas en orden, es el momento de empezar a tomar medidas y pasar a la acción. 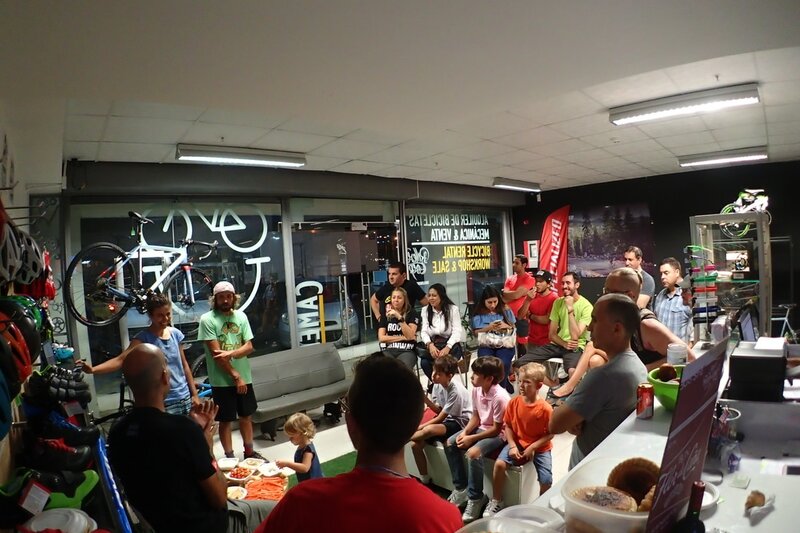 • El objetivo de Cycle 4 recycle’s es unir e inspirar a las personas de todo el mundo a trabajar por un medio ambiente más limpio, un estilo de vida saludable y una sociedad más positiva. • Animamos a las personas a cuidar mejor de sí mismos y el medio ambiente, con la que se va a dar un ejemplo personal positivo para que otros lo sigan. • Queremos a las personas normales, con ideas para mejorar la sociedad, que sientan el apoyo y sepan que no están solos. • Estamos interesados en personas que ya se están dando cuenta de sus ideas y las que están pensando en dar sus primeros pasos. • Creamos una red de personas, compartiendo el mismo lugar e inspirarlos a unir fuerzas en el cuidado de los problemas en su distrito. 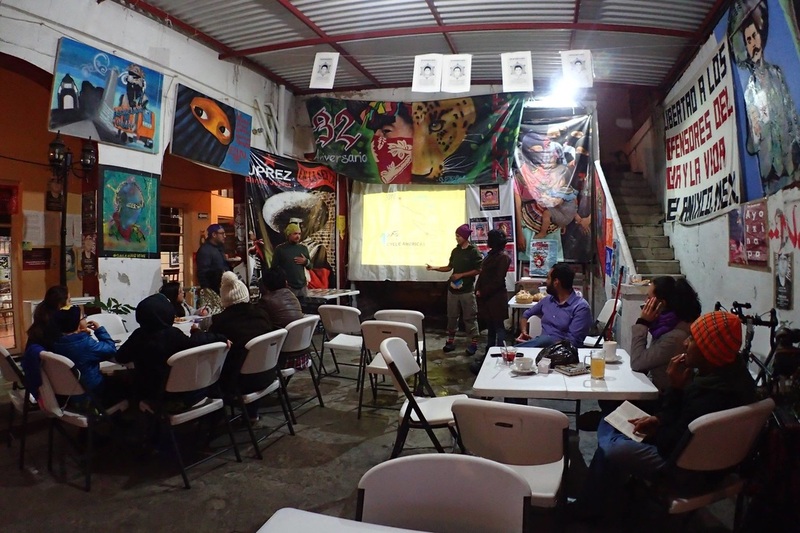 • Tenemos interés en cómo las ideas de nuestros participantes están creciendo y desarrollándose. • Animamos a las personas a empezar a tomar acciones en lo que respecta a la injusticia hacia la Naturaleza. • Estamos reconociendo las acciones y dándolas a conocer como una parte importante e integral del cambio del status quo social. • Les animamos a todos a exigir un mejor futuro para las próximas generaciones. 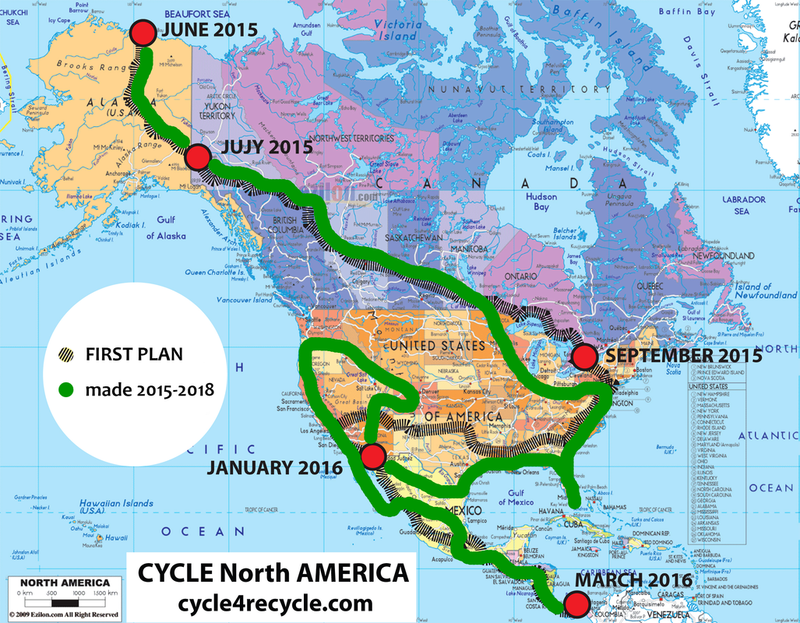 more ABOUT IDEA "CYCLE FOR RECYCLE"
MÁS ACERCA DE IDEA "CICLO DE RECICLADO"
"REcycle" expedition from Alaska to Argentina. 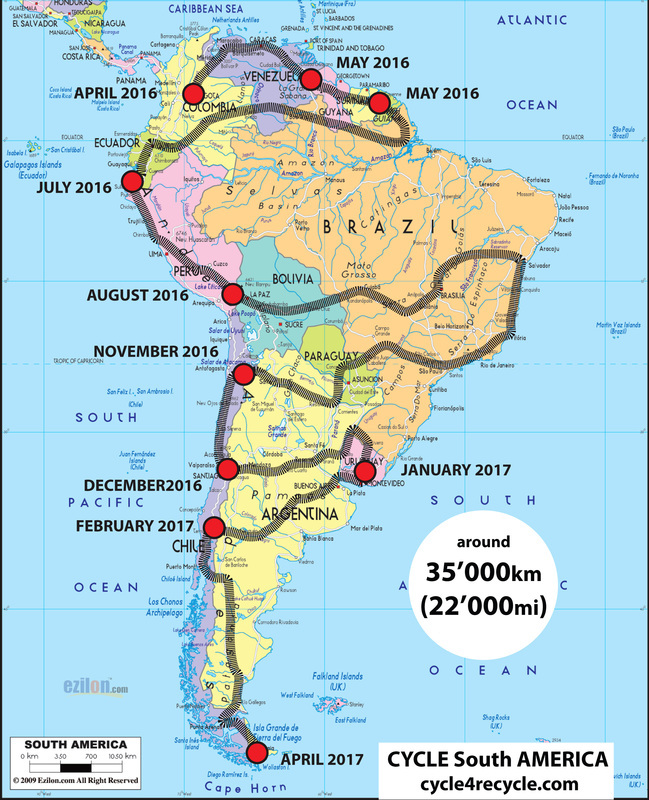 In June 2015 we are starting a cycling expedition from Alaska to Argentina which will spread across approximately 60'000 km. 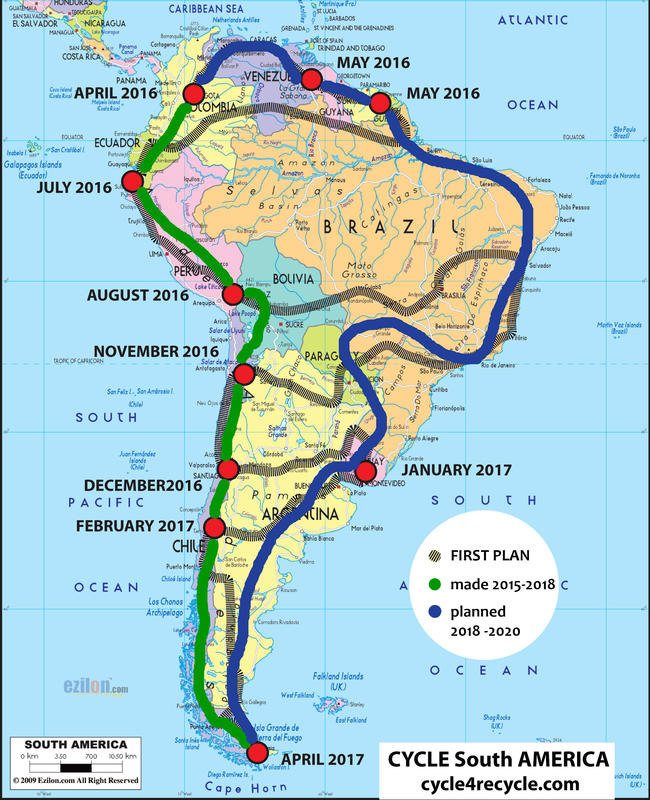 We are planning to cross all the countries in the Americas. 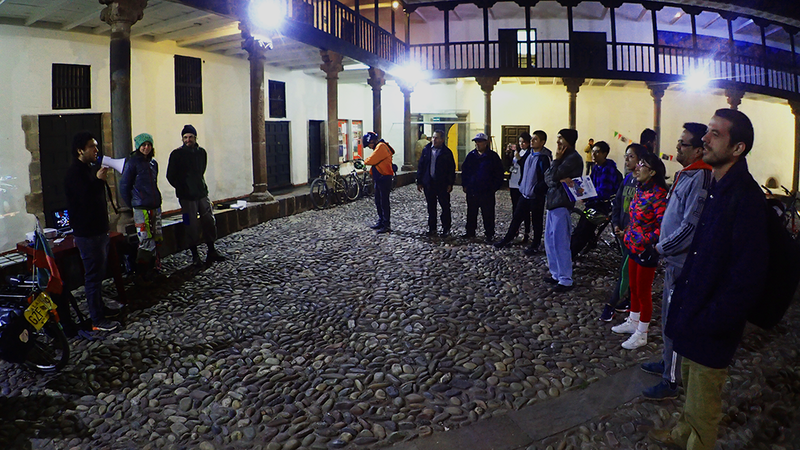 During the “Cycle Americas” expedition we are going to adopt the role of researchers and explorers. The goal is to gather information and analyze the thinking and psychology of different social groups in regards to fuel production and consumption. We will also delve into the way people are feeling about natural preservation and protection and will examine their interactions with nature and the place it holds in their lives. The title of the research is “Recycling of thinking”. We will also focus on the ways people from both continents manage and treat disposable packaging. We will investigate the way they understand and feel about global warming; and will look into their concept of the future for the planet and for themselves. Cycling is a small step towards being healthy and moving around in an environmentally sound and inspiring way. We are from a small country, which is not popular worldwide, but we believe that regardless of where you are, the important thing is how wide your eyes are open for life. Ultimately, great deeds are achieved by ordinary people. What we will do during the expedition? Collecting information about people’s attitude towards environment. Creating workshops specially designed for children. 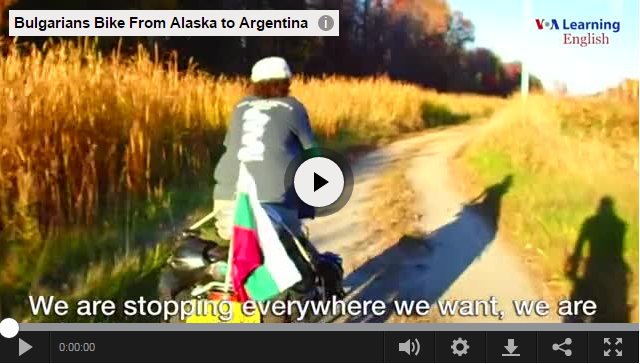 Why we choose Americas for our expedition? Because in the Americas there is a vast diversity of cultures. Because in the Americas people with very different value systems coexist. Because the Americas are a home to exceptional landscapes and wildlife. Because heritage of old civilizations can be found there. Yes! You can help us and SUPPORT US! 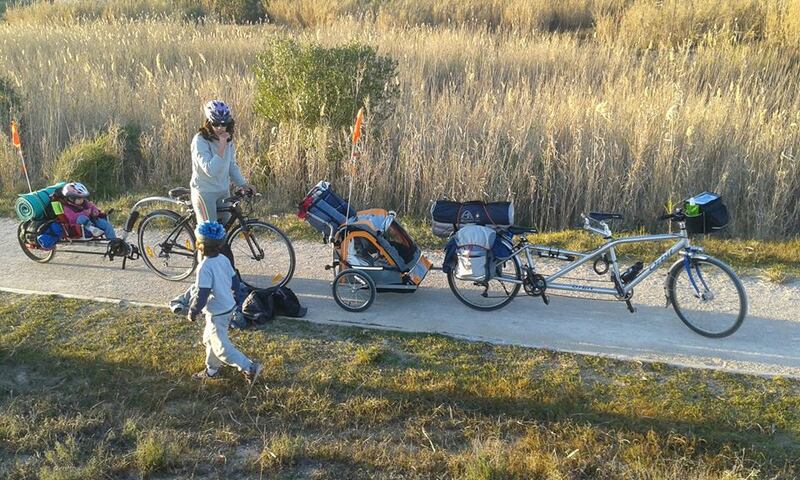 We are trying to travel using just 3 dollars day budget in this Cycle Americas expedition. Alaska (AK), USA: June 2015 until July 2015. Canada: July 2015 until September 2015. USA: September 2015 until end of December 2015. 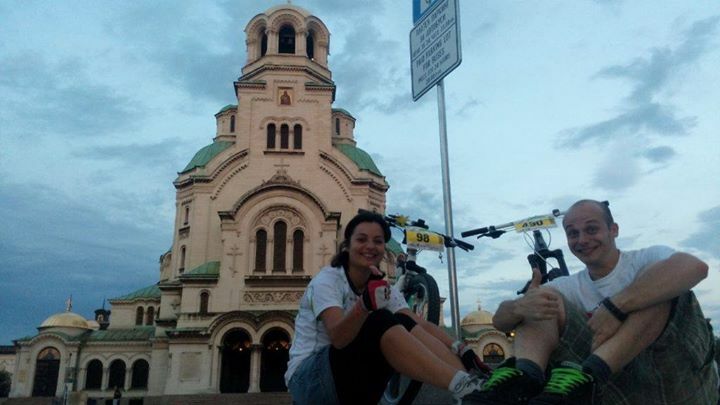 I'm a cycling traveler and have cycled over 100'000 km throughout more than 70 countries. I'm an adventurer and Nature lover. Traveling to find more about the wisdom of life and the beauty of outdoors. Action is my way of obtaining joy in life. Soy aventurera y amante de la naturaleza. Estoy viajando en busqueda de la sabiduria ded la vida y la belleza de aire libre. I'm an adventurer and Nature lover. Traveling to find more about the wisdom of life and the beauty of outdoors. La acción es mi forma de encontrar la alegria de la vida. What the media is talking about us? Click here. ¿Lo que los medios está hablando de nosotros? Haga clic aquí. 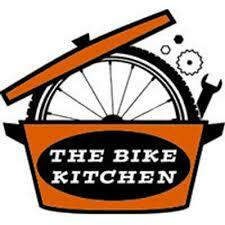 The Bike Kitchen teaches people of all ages and backgrounds how to repair bicycles. 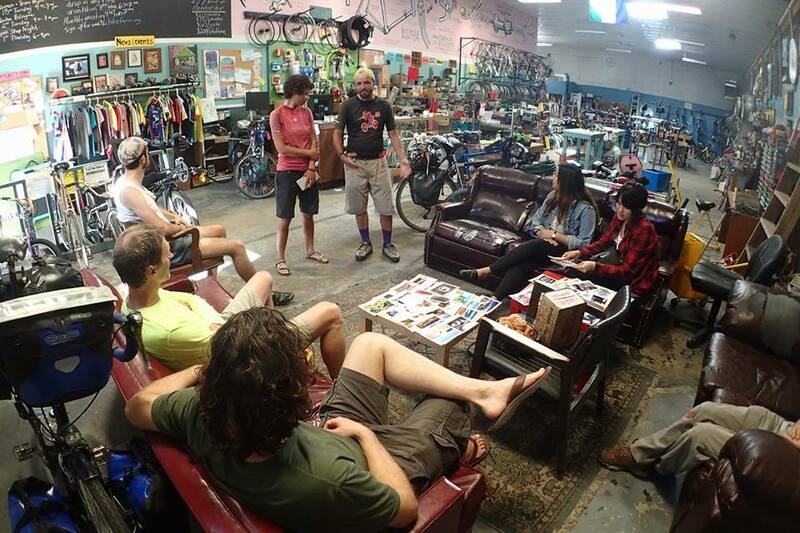 The Bike Kitchen promotes personal development and provides leadership opportunities. 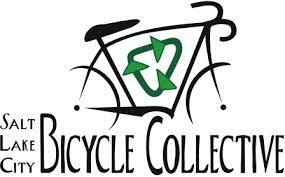 Operating as a cooperative shop, we provide affordable ways to acquire and maintain a bike, encourage re-use and recycling, and work with community groups to get more people on bicycles. 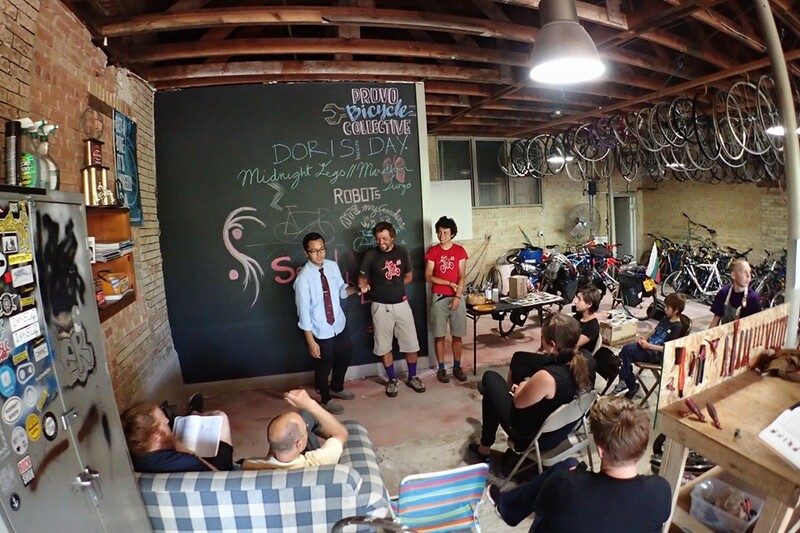 Bike Farm is an all volunteer-run collective dedicated to every aspect of bicycle education, from safe commuting to repair. 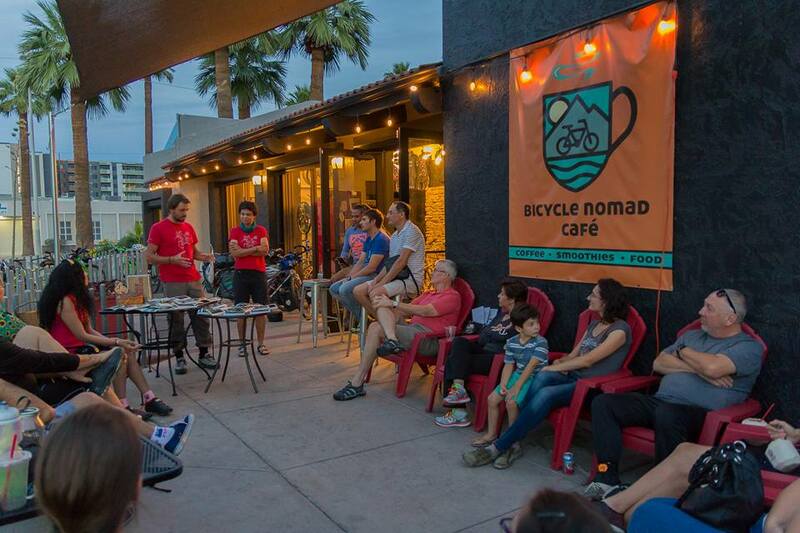 Their mission is to provide a space where people can learn about the bicycle and build community around promoting sustainable transportation. 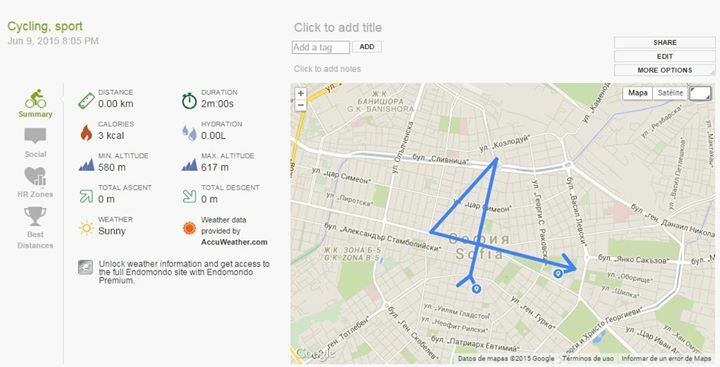 They strive to demystify the bicycle in order to impact the city in a healthy and positive way. 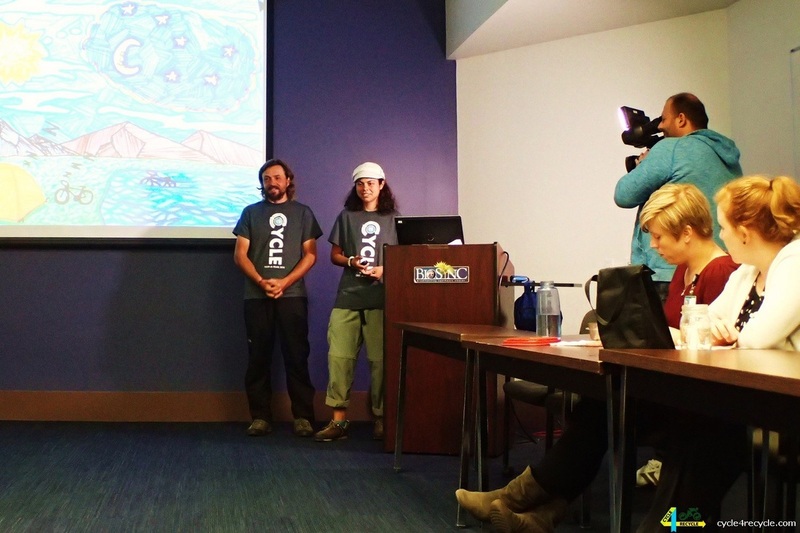 Trash Freeway is a cross-country bike trip to understand and create awareness about the impact of food-related trash and waste. 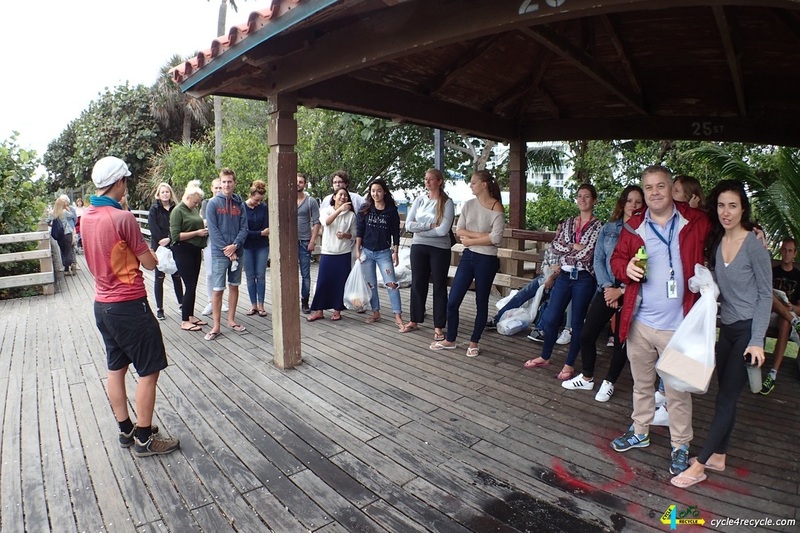 By meeting and listening to Americans along our route, we plan to gain a better understanding of individuals' lives and how their stories reflect the larger problem of trash in America. 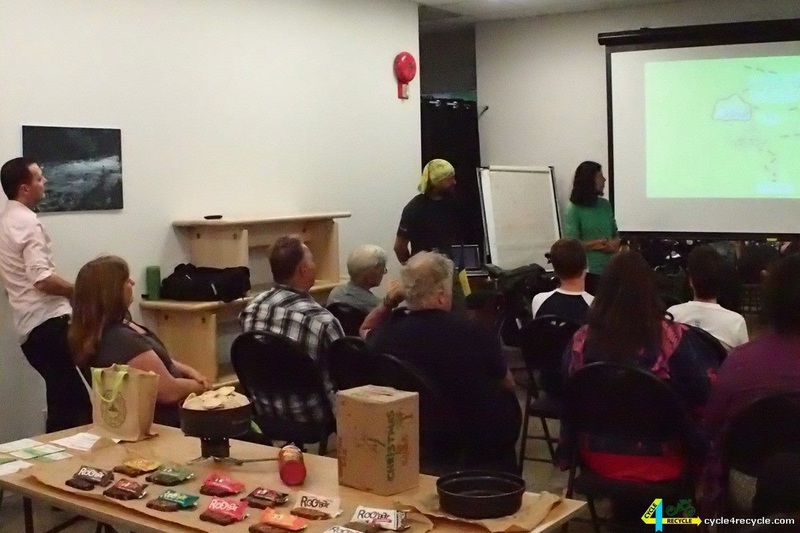 Specifically, we'll be engaging communities by creating a platform for dialogue about trash, food waste, and what it means to be sustainable, talking about their habits and perceptions about trash. We'll also be interviewing farmers, families, and whoever else we meet on the road. Another main component of our trip will be to leave no trash trail; this means wasting no food and reducing and reusing the packaging we do accumulate. In other words, we’ll be doing this trip the trash-free way. Quit my job in June last year, started my own "paper free" business, downsized, then did it again radically - sold more stuff, finally ended contract on our house, sold the car in Dec, and now have bikes. 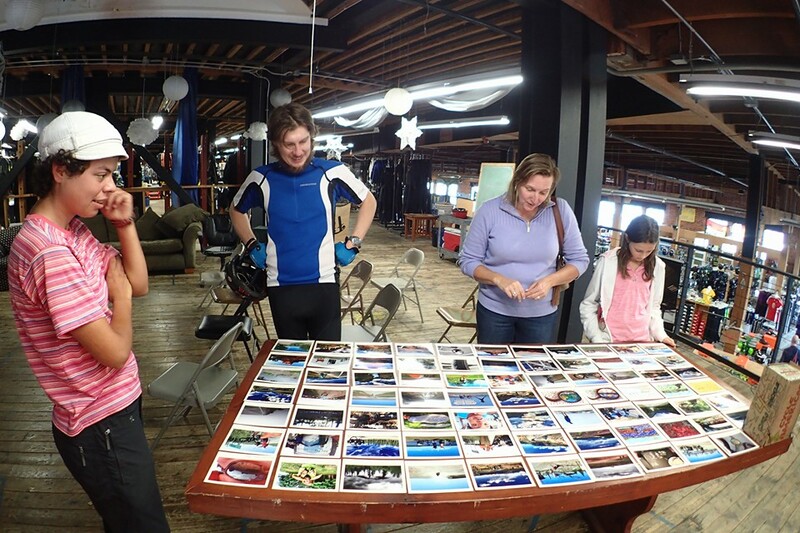 We are getting ready to cycle around the world soon, and are "training" for it in Europe. One things I can not stand, is when I ride through natural parks and beautiful places and see a human footprint - rubbish everywhere.... I teach my kids that when we camp, travel etc, we leave NOTHING behind. No evidence we were there - wish others would do the same... A few days ago we were in a natural park that HAD BINS, and there was rubbish on the floor just meters away from the bin! So me and my boys picked it up and put it in the bin - are we Eco warriors? We can't wait to start riding. 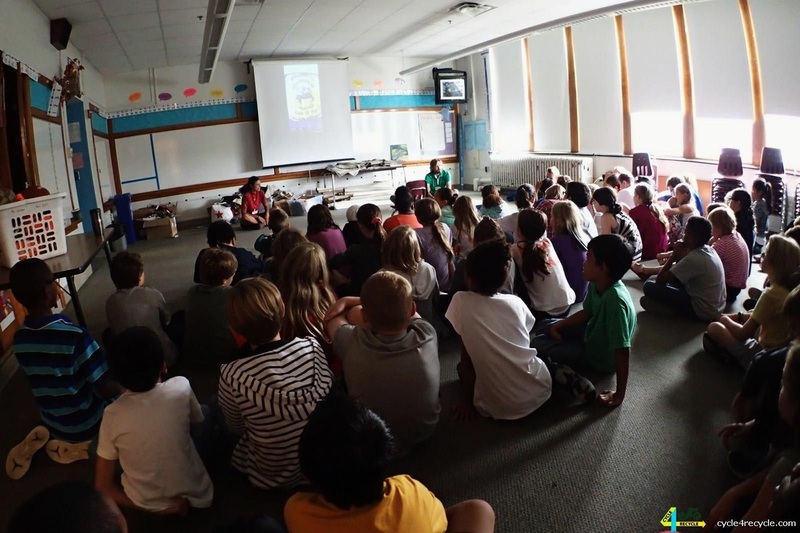 We want to give our children an amazing life adventure, and do humanitarian work on the way. Somos una familia de 5, y que acabamos cambiado radicalmente nuestra vida: dejé mi trabajo en junio del año pasado, comencé mi propio negocio "libre de papel", primero reduciéndolo, y luego se hizo de nuevo radicalmente - vendiendo más cosas, finalmente terminamos nuestra casa, vendimos el coche en diciembre, y ahora tenemos bicicletas. Nos estamos preparando para recorrer todo el mundo pronto, y estamos "entrenando" para empezar en Europa. Una de las cosas que no soporto, es cuando paseo por los parques naturales y lugares hermosos y veo una huella humana - basura por todas partes .... Yo enseño a mis hijos que cuando acampamos, viajamos, etc, no dejamos nada atrás. No hay evidencia que estuvimos allí - deseo que los demás hicieran lo mismo... Hace unos días estábamos en un parque natural que tenía PAPELERAS, y había basura en el suelo ¡a pocos metros de la papelera! Así que yo y mis hijos la recogimos y la pusimos en la papelera - ¿Somos Eco guerreros? 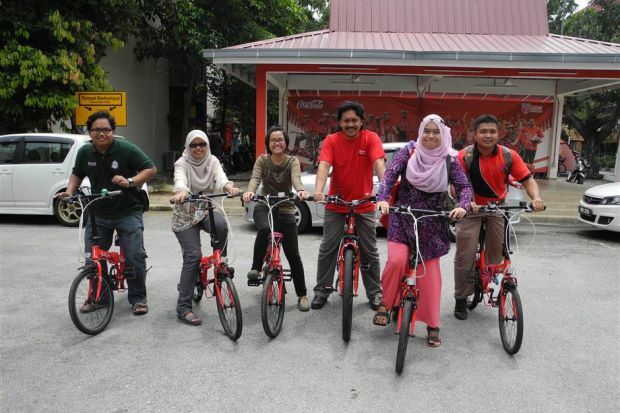 Students and staff of Universiti Putra Malaysia are cycling – and recycling – more these days thanks to the Recycle-to-Cycle green programme. AT Universiti Putra Malaysia in Serdang, Selangor, it is not unusual to see staff members and students cycling around the campus. Some no longer rely on shuttle buses for transportation but on their two-wheelers. Los estudiantes y el personal de la Universidad Putra Malaysia son el ciclismo - y reciclaje - más en estos días gracias al programa Recycle-to-Cycle. En la Universidad de Putra Malasia en Serdang, Selangor, no es raro ver a los miembros del personal y estudiantes en bicicleta por el campus. Algunos ya no dependen de autobuses para el transporte,van con sus dos ruedas. 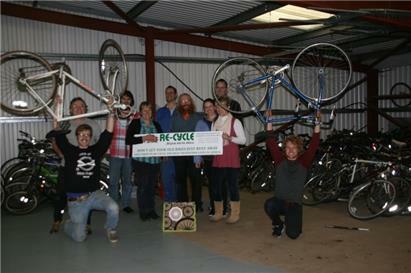 The Isle of Wight group of Re-cycle: Bikes to Africa held the party to prepare donated cycles. Eleven helpers spent a hours removing pedals and turning handlebars on the 190 bikes so they could be easily transported. Unwanted bikes had been dropped off over the last six months by members of the public at InnerSpaces Self Storage Solutions in Cowes, which stored them free until there were enough for a truckload. Volunteers prepared them for their journey to the mainland and loaded them on to a 7.5 tonne truck loaned free of charge by Bartletts Van Hire for a ferry crossing donated by Wightlink. 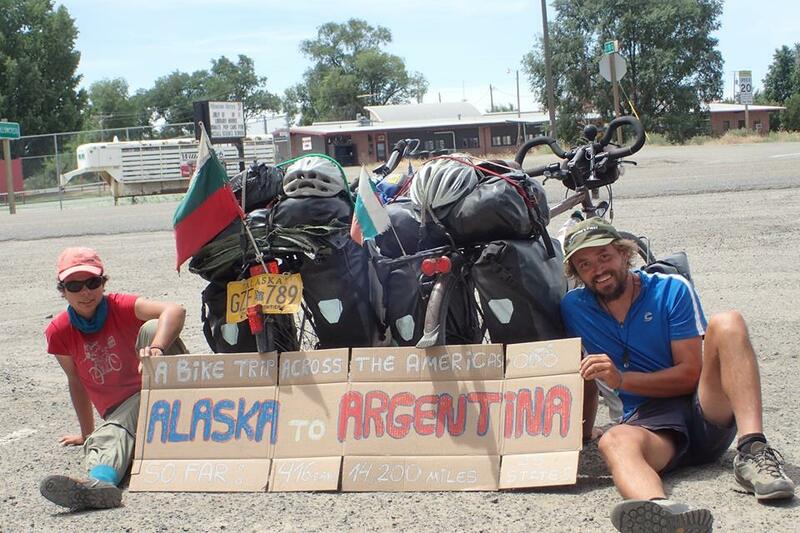 Un grupo de la Isla de Wight por el reciclaje: Bikes to Africa ayudó a prepararse para donar bicicletas. 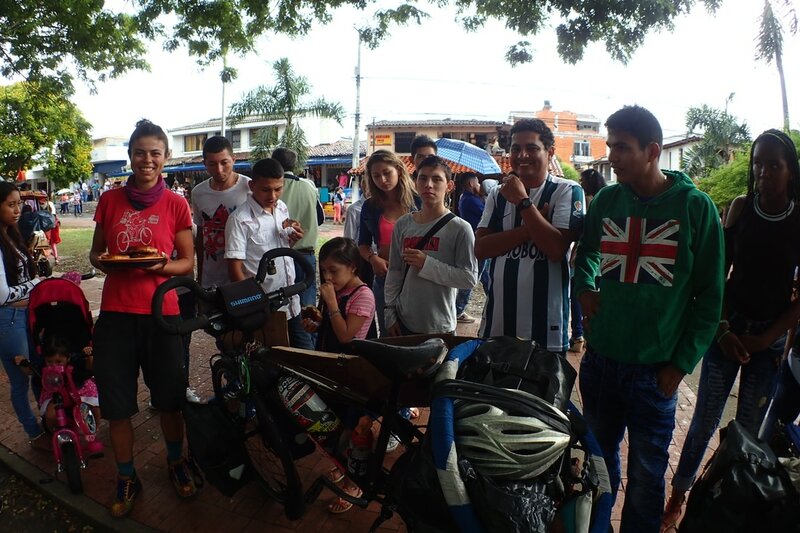 Once voluntarios pasaron horas para retirar los pedales y girar el manillar en las 190 bicicletas para que pudieran ser transportados fácilmente. Las Bicicletas habían sido dejadas en los últimos seis meses por los miembros del público en InnerSpaces Almacenamiento Soluciones en Cowes, que los almacenó gratis hasta que fueron suficientes para llenar un camión. Los voluntarios se prepararon para el viaje al continente y las cargaron en un camión de 7,5 toneladas cedido gratuitamente por Bartlett Van para una travesía en ferry donada por Wightlink. Fergusson College was home to the official launch of the LEADearthSHIP Youth Initiative for ungraduate and graduate students, initiated by The Energy and Resources Institute (TERI) and Tetra Pak. LEADearthSHIP focuses on business and sustainability and aims to be the spring board for future youth leaders in India who have their world views deeply rooted in sustainability, ethics and co-existence. It is based on the belief that young people of the country must be engaged in ideation, innovation and action that would ensure holistic development of the nation. 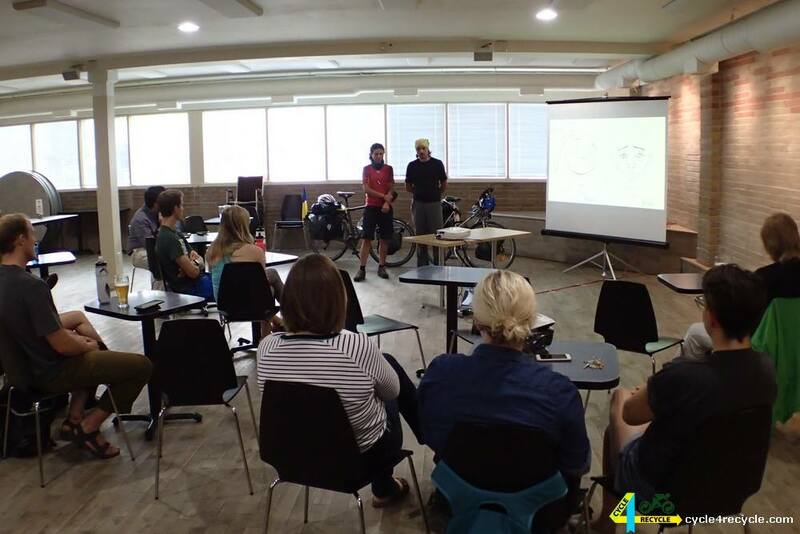 Joost & Michiel were honoured to participate, along with 350 students and Sir Robert Swan, in the ‘Cycle to Recycle’ awareness ride through the streets of Pune, followed by a well-received talk on Cycle for Water and sustainability. 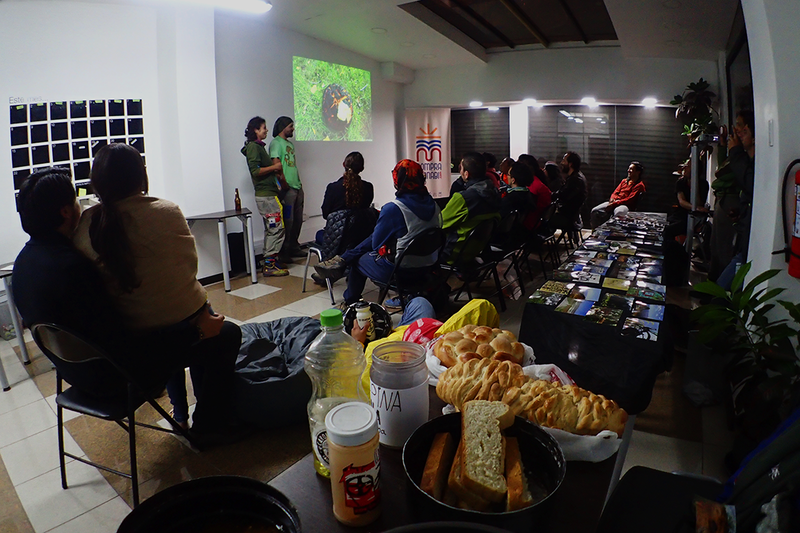 La Universidad de Fergusson fue el lugar de la presentación oficial de la Iniciativa Juvenil LEADearthSHIP para los estudiantes de pregrado y posgrado, iniciada por el Instituto de Energía y Recursos (TERI) y Tetra Pak.